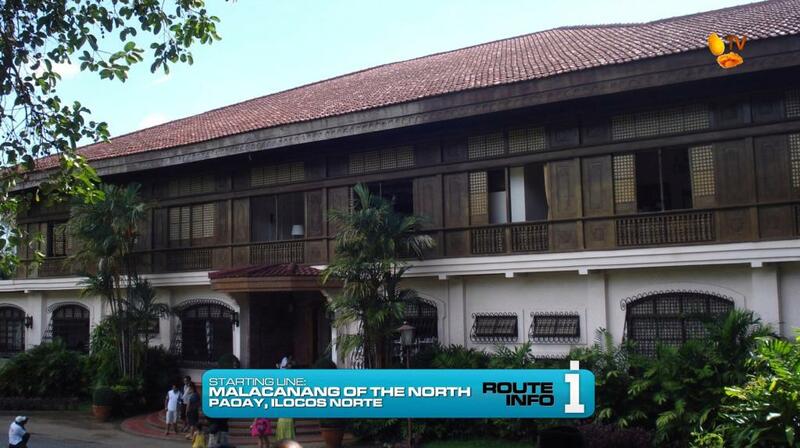 Teams assemble at the Starting Line at Malacanang of the North in Paoay, Ilocos Norte, once the official rest house of Philippine President Ferdinand Marcos. 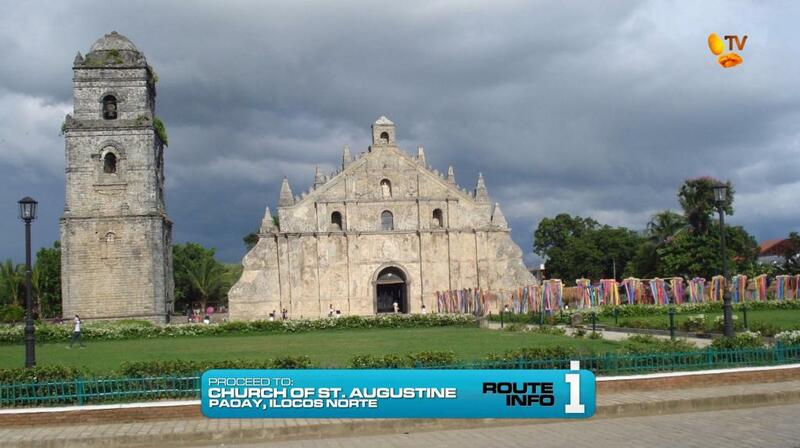 Before teams can receive their first clue, they must search the lakeshore for two flags, printed on them are the years marking the start and end of the Marcos presidency: 1965 and 1986.
the Church of St. Augustine, also known as Paoay Church. 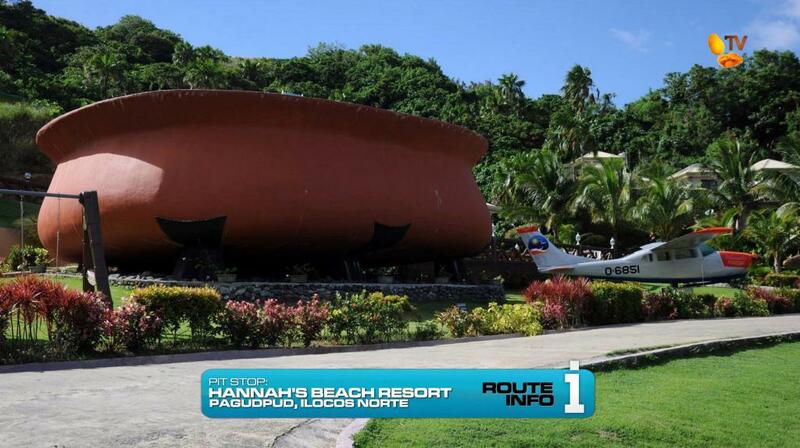 Teams will need to search the grounds of the church, a UNESCO World Heritage Site, for their clue. 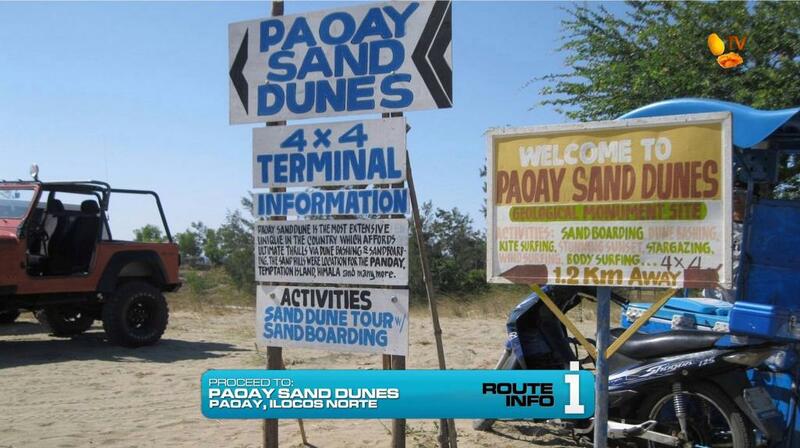 For this Road Block, teams will ride all-terrain vehicles across the sand dunes and search amongst 25 baskets for Race flags hidden in only 5 different baskets. The other 20 baskets contain hourglasses which teams will have to turn over if found and wait anywhere from 5-20 minutes before moving on to the next basket. 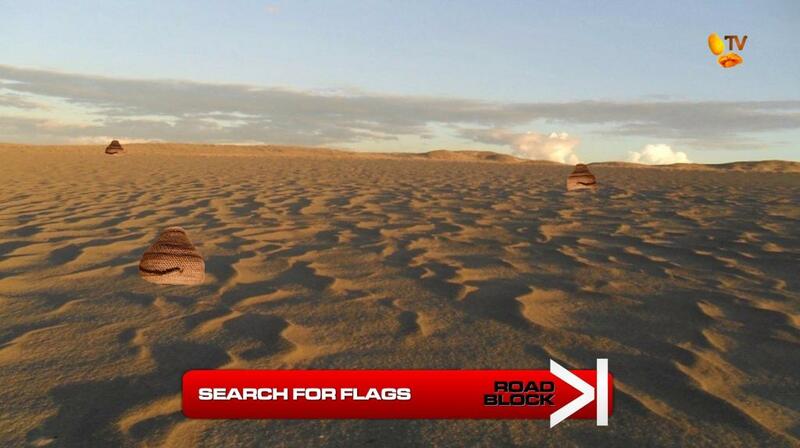 Once teams have obtained 2 Race flags from two different baskets, they can return to the starting point and exchange them for their next clue. The 2nd Road Block of the Leg. 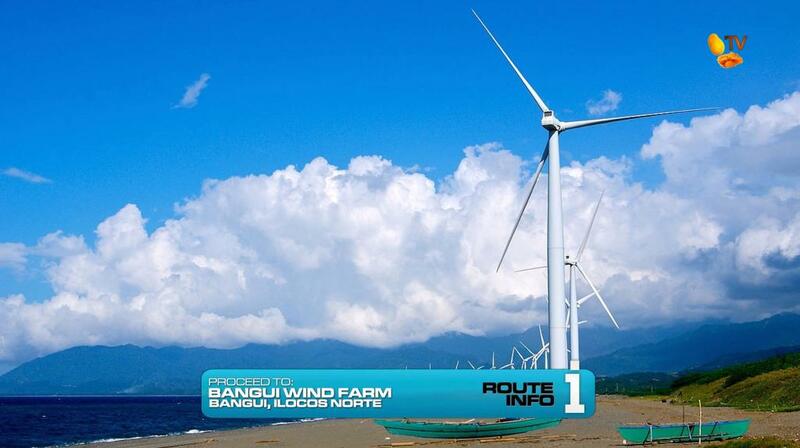 For this Road Block, teams will help create a souvenir of the Bangui Windmills, one of the most iconic views of the Northern Philippines. 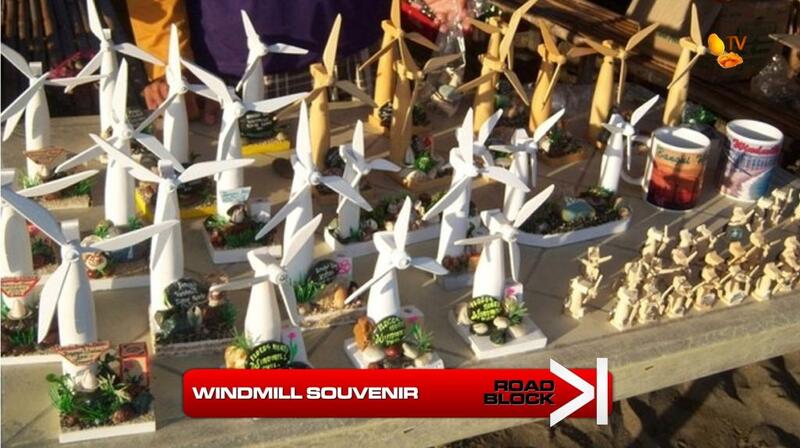 At the base of several of the windmills are boxes filled with sand and rocks, each containing the small pieces needed to assemble a small replica of the windmills typically sold as a souvenir in Ilocos Norte. Once teams have collected all the pieces they believe they need and assemble the souvenir, they’ll bring it to the judge for approval. Teams must make sure to have attention to detail as the replicas include small rocks and sand which teams may believe are not needed. 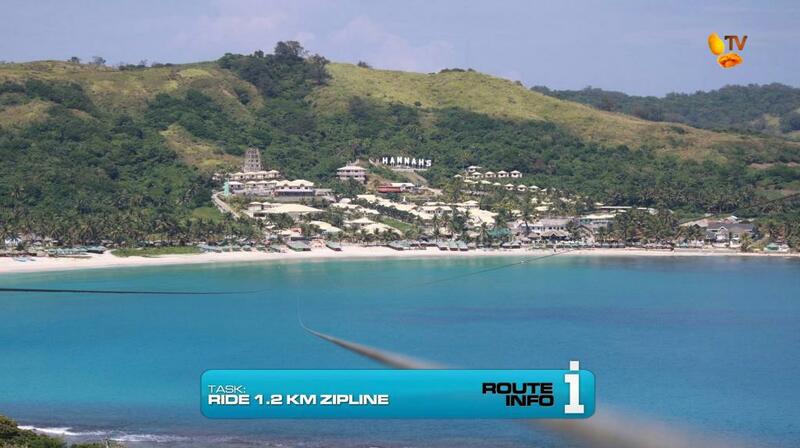 Teams must now drive themselves to Hannah’s Beach Resort in Pagudpud, Ilocos Norte and ride the zipline, the longest over water in the world, to their Pit Stop on the beach. 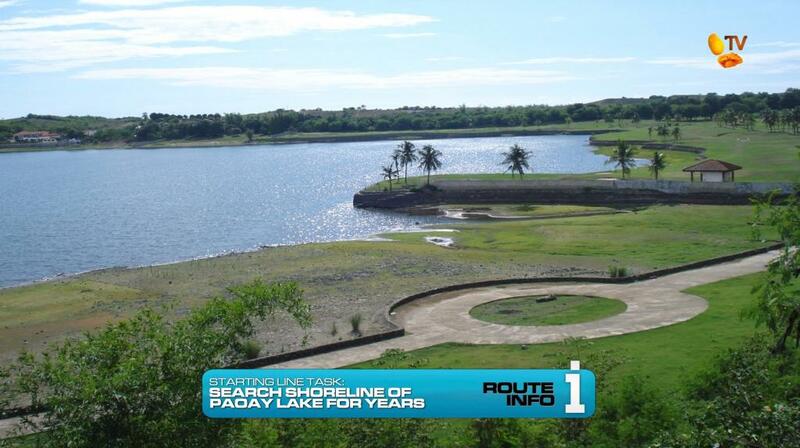 On the next Leg of The Amazing Race Philippines: DryedMangoez Edition, teams head to the hottest city in the country! 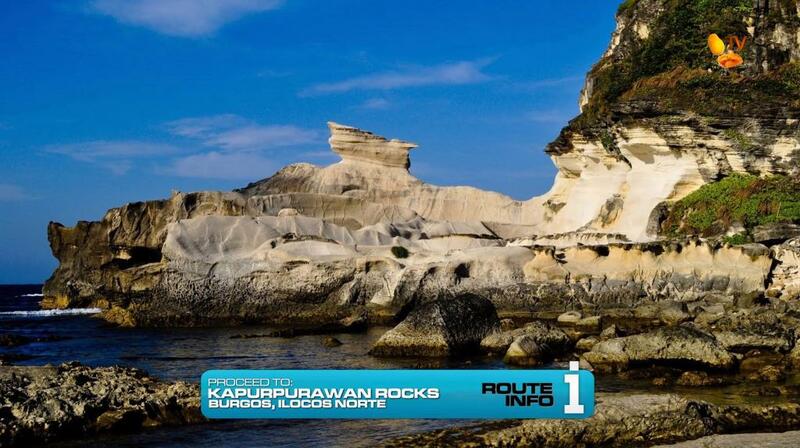 Tuguegarao, Cagayan!